Zigi Zagi! The best part of the year has arrived. It's fall, and the leaves have started to turn. And you're ready for your annual celebration. You know the one we're talking about. 2 weeks of fun? Music, friends, and beer? And not just a little bit of beer. We are, of course, talking about Oktoberfest. So, we're talking about quite a bit of beer indeed! This traditional German festival from Munich has taken the world by storm, as has the signature apparel. You know, lederhosen! Lederhosen is pretty much the official folk costume of Bavaria, and the leather breeches are really quite famous. Particularly when you wear them to a party! They just need a checked shirt and tall socks, and maybe a hat, too, and then your getup will be instantly evocative of Central Europe. 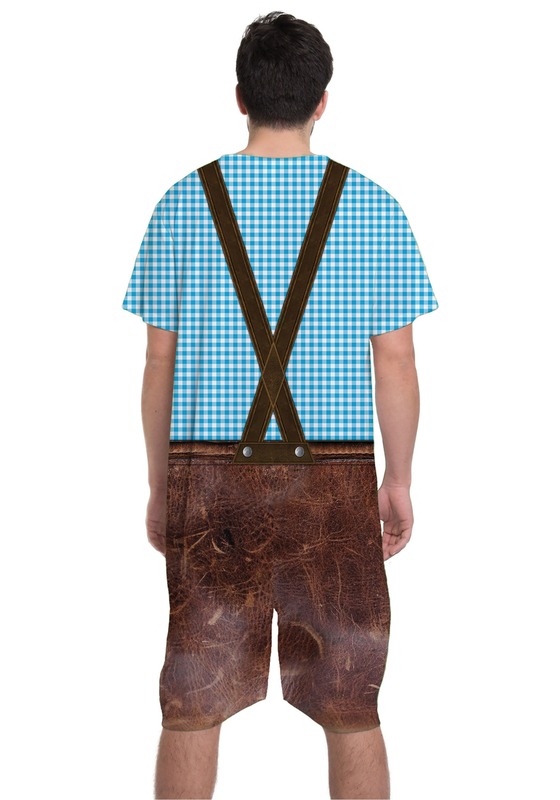 Well, now you can get yourself into a Leiderhosen outfit with a simple and effective style. This Oktoberfest Romper! Printed with plenty of Bavarian details, it's an easy and awesome way to get into the fun. 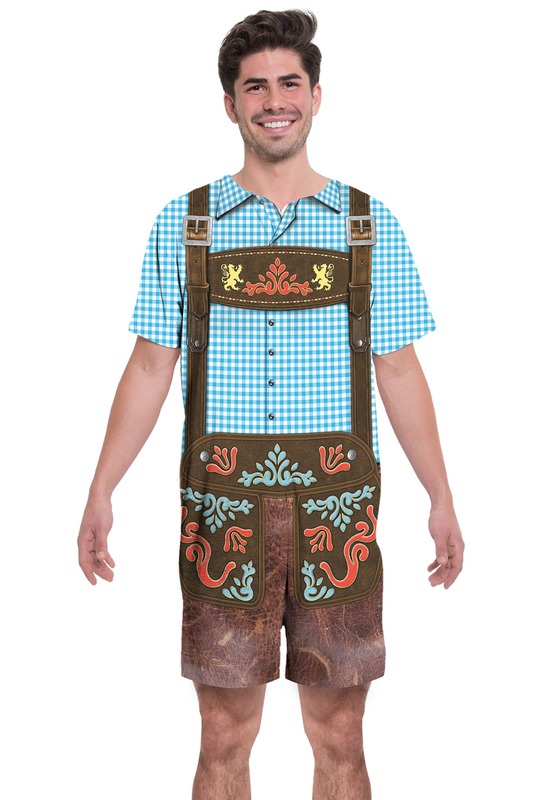 The one-piece costume looks just like a real lederhosen and shirt set, and you don't even have to travel to Germany to get 'em. For a traditional Oktoberfest, a costume party, or for Halloween fun, this Men's Oktoberfest Romper Costume is gonna be pretty hard to beat. So, go on, let's go Oktober it up!